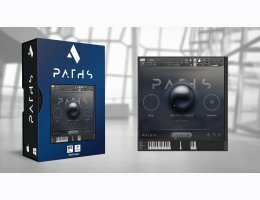 Introducing Paths, a loop based sampler instrument for NI Kontakt also available on WAV, Apple Loops, ACID and REX formats. Paths is the perfect collection for crafting dramatic Electronica and Neo-ambient Cinematic styles. If you live to emote in tempos most slow, this is the collection for you. Whether you’re needing a soundscape for your documentary, a back grooved melodic motif or simply wanting some melodic phrases for your tracks, Paths will give you freedom to create instant downtempo moods and atmospheres in seconds! Inside this library you will find 30 complete lush and deep electronica & Neo-Ambient construction sets (kits) with a Cinematic twist, with each kit containing six different loops, all designed to fit together perfectly or available for any mix and match scenario. By giving you the ability to add the amount of depth and texture needed, along with multiple and seperate FX sections, Paths gives you a creative freedom to create. Paths is suitable for sound designers and producers looking for a cinematic Electronica & Neo-ambient feel in their production. Perfect for use in Atmospheric Composition, Scores, Trailers, Documentaries, Advertising, World and Background music. Also usable for any production ranging from Downtempo, Atmospheric, Chillwave and Post-Dubstep to Ambient. Paths has been formatted in today’s most popular file types: Kontakt, WAV, Apple Loops, ACID, REX & One Shots. Every file has been carefully edited to loop perfectly without any complications. Native Instruments' Kontakt Full Retail version of KONTAKT 5.5.0 or higher is required. This may be purchased from the Native Instruments site here.